Facebook has different roles for different users. 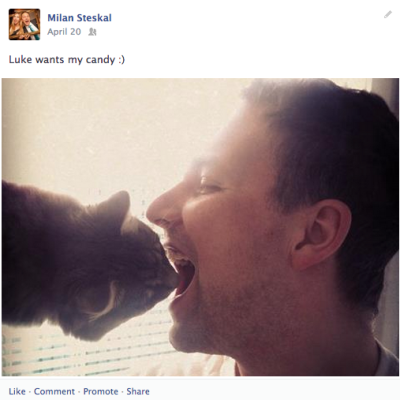 Facebook and apps on Facebook help all users tell their stories and share them with the people that they care about. On the other hand, it’s a huge opportunity to grow the audience for bloggers (businesses and developers). So when you want to grow your audience, you need to give your readers (apart from a great content) tools which help them tell their stories easier. Facebook social plugins are the very basic integration and the easiest way to start with. It can be a like button or Facebook comments on your blog. When you can read HTML, you can use Facebook social plugins documentation to find out how to add them to your blog and customize. There is an easier way when you are on WordPress. There is an official plugin from Facebook, which lets you add like button, comments, follow button and other social plugins to your blog as well as optimizes your posts for sharing on Facebook. That means, that the post will have the title, description and image when you share it. 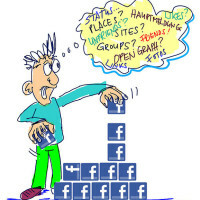 Facebook social plugins help you users tell their stories by sharing and liking and article. But there is a way to tell more specific stories. 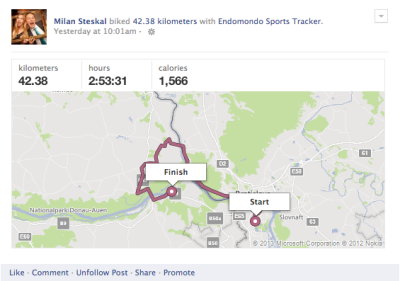 Who of you take photos on Instagram or track workouts with Endomondo or Nike and share it on Facebook? You tell stories when you do that. Open graph actions let you connect real world actions with objects in your app. What stories can users tell when they read your blog? First of all, they read the article. Then they can, for example, rate an article. Integrating open graph actions usually requires a bit of coding, but there is a social reader plugin which helps you with “read” action. It’s not official though, so the support isn’t guaranteed. For the ones who would like to try some coding, the official documentation and how to guides from Facebook are the best place to start. One last advice? Think of Facebook integration as of a tool to help you reach your goal. Facebook integration isn’t and can’t be the goal itself. Previous Previous post: How do you build a remote team?